One of the primary attributes in a holster for a CW45 should be concealment, as this model is purpose-built with concealment in mind. Concealed carry is Alien Gear’s specialty, and every model we make is a perfectly capable Kahr CW45 concealed carry holster. 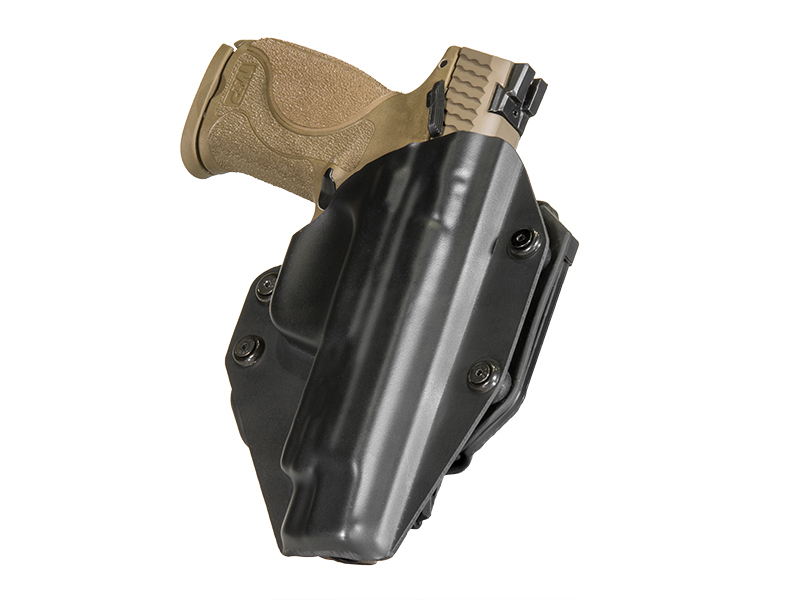 We specialize in waistband carry, and we produce both OWB and Kahr CW45 IWB holster models, specially designed for a wide range of firearms including your CW45. Every Alien Gear Kahr CW45 gun holster features our adjustable retention shell, which is specially molded for the CW45 pistol. 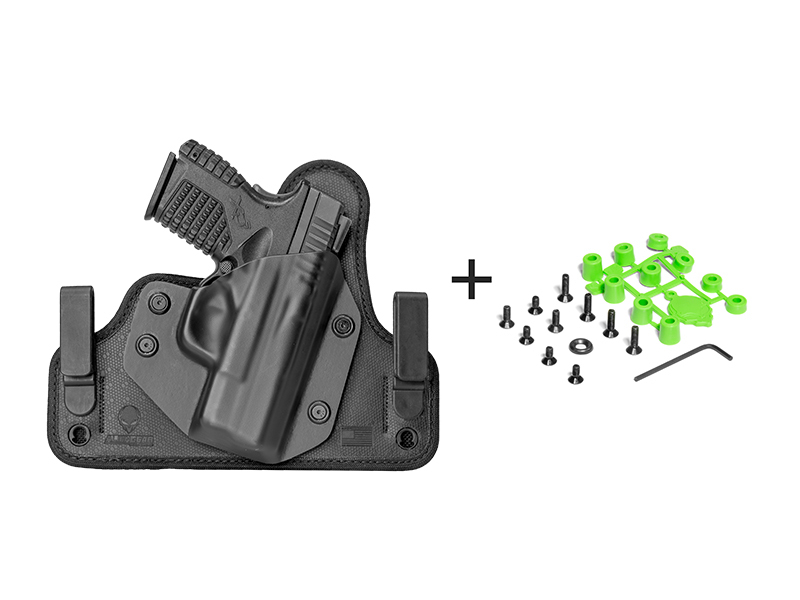 The custom molded holster shells can be set for desired retention and a draw that works for you. Those who prefer a leather holster can select the Cloak Slide or Cloak Tuck, our leather OWB and IWB holsters, respectively. Both are made from high-quality, heavy-duty leather and are available in black or tan. 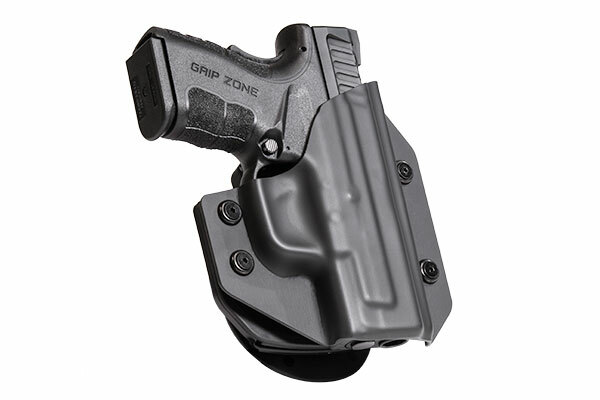 For a more modern holster system, we also have the Cloak Tuck 3.0 IWB holster. The 3.0 employs a spring steel core, for maximum retention strength and flexibility. It’s engineered to carry everyday in comfort, for a lifetime. The back padding is moisture-repellent neoprene, and the front is a layer of our Alien Skin surfacing material. 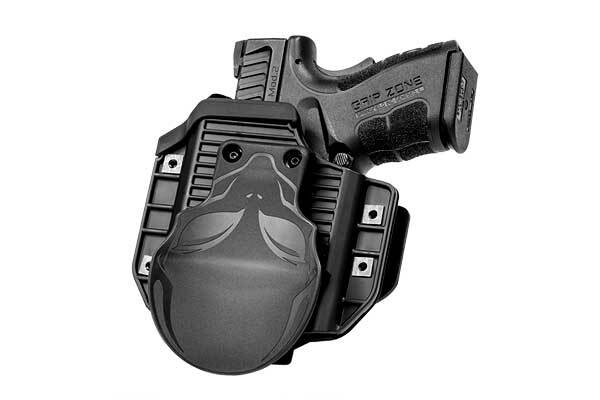 Alien Skin is low-drag, so once you holster your firearm, it won’t move until you want it to. However, it also won’t scuff the finish. 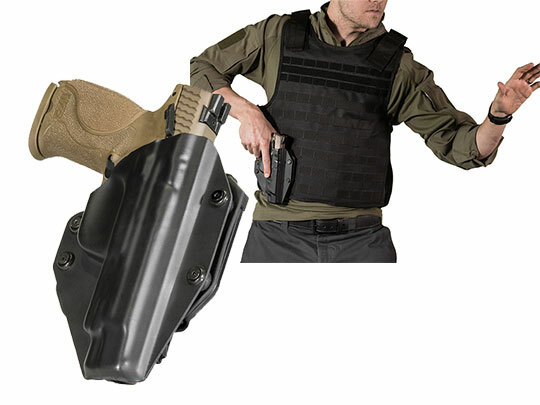 Alien Gear makes it’s holsters in the U.S.A., and extends an Iron Clad Guarantee for every holster sold. This includes a lifetime warranty against defects or damage, a lifetime of free shell swaps if you ever get a new gun, and a 30-day test drive in case you buy an Alien Gear Kahr CW45 holster and don’t think it’s right for you. We think you will.